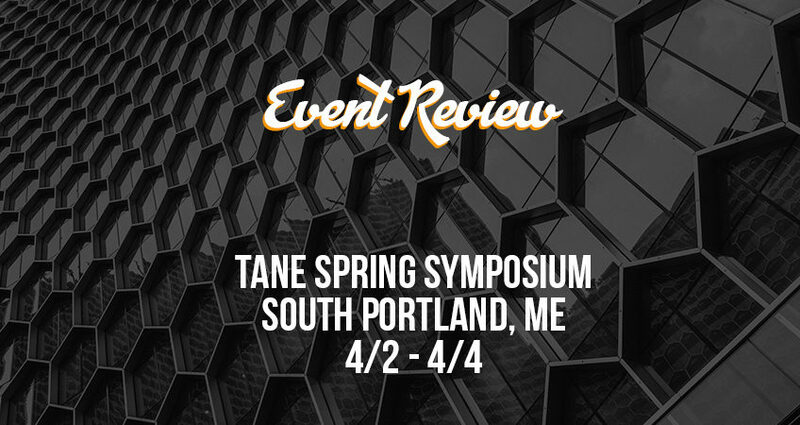 Event Review: TANE 2019 Spring Symposium - MOUNTAIN, LTD. Recently, MOUNTAIN, LTD. had the pleasure to attend this year’s TANE’s (Telephone Association of New England) Spring Symposium. As events go, TANE events are a staple in MOUNTAIN’s travels throughout New England. Although many MOUNTAIN staff members attend TANE events, Gregg Klatsky is in the running for most TANE events attended. MOUNTAIN was a sponsor at the symposium this year and helped raise several hundred dollars for the ITPA (International Telephone Pioneers Association) , working in partnership with Unitel to put together a silence auction. The symposium was a success as a networking opportunity with several new exhibitors this year as well as an educational opportunity. Gregg had the opportunity, as a member of the show committee, to introduce the keynote speaker, Mark Monnin from the Southern Maine University Department of Technology. The presentation centered around cyber security and ways that individuals can protect themselves in online spaces. The whole assembly needed to take a 10 minute break after the session to change our passwords. The symposium was an opportunity to catch up with some of our clients around New England as well as meet some new faces. Thank you to TANE for hosting another great event!